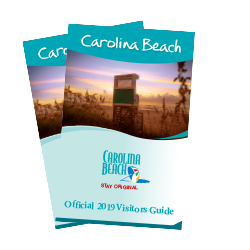 Choose from a variety of area accommodations at Carolina Beach, many with scenic waterfront views. Hotels just steps from the water’s edge offer a fresh take on an oceanfront stay complete with sea breezes from both the ocean and a tiki bar. Travel back in time and stay at vintage motels that pair roadside nostalgia with creative comforts. Carolina Beach has a wide-range of lodging options located near the Boardwalk action, affordable at any budget.